That's how many dollars companies lose out on due to employees missing work because of health issues. That's your budget to put toward helping your office improve health and wellness. Offices across the world are seeing the need for a healthier workforce. And not just physical health - stress and anxiety are just as harmful to employees as obesity or arthritis. Yet very few are given adequate budgets to address these needs. If they're given any other budgets at all. A lot of companies just lump health and wellness under healthcare benefits coverage, and we all know that money doesn't last long these days. So you're forced to piece together a health and wellness initiative, but your budget isn't so healthy. You can still put together an effective effort. It won't be easy. But with some creativity and a little hard work, you can motivate and inspire your workforce to pay closer attention to their own health and wellness. For better or worse, employees are going to model the behavior of their managers. If you can get them on board with healthy initiatives, their subordinates will follow. The CEO can announce he'd like more walking meetings, for example. While meaningful, the message will only set in when managers actually say, "Hey, let's walk and talk for this meeting." No, you can't make your managers spend their lunch breaks at the gym or turn vegan. But you can encourage them to model good, healthy behaviors. Like not going out for greasy burgers every day, taking preventive doctor appointments, and not coming in when they're sick. They can also help out tremendously by discouraging employees from working while on PTO, and by regularly checking on the emotional states of their team members. The running store across the street isn't going to completely subsidize your health and wellness budget. They could be willing to donate gift cards that you can use as incentives, though. Don't be afraid to reach out to area gyms, grocers, spas, restaurants, health care providers and more. Ask if they'd be willing to sponsor your company's health and wellness efforts. Don't just hang up when if they say no to giving you money or materials. Maybe they can host a lunchtime clinic, or set up a booth at your health fair. Be persistent and remember that you're a gatekeeper to a valuable asset: local, gainfully employed prospects. Once you have some sponsor swag handy, organize an event. Maybe a 5K, or a body fat-loss challenge. The best way to drive involvement in those? Give employees the freedom to use work time to prepare for and participate in these events. If it means the freedom to get up from their cubicles and do something different on the company dime, people are usually game. Remember earlier when we said you should encourage your managers to respect employees' PTO? That's worth its own bullet. Wellness ain't just fitness and dieting. It has just as much to do with what goes on in the brain. That means helping employees get the most out of their brains by eliminating stress and increasing mindfulness. Most full-time employees are going beyond 40 hours. Some, particularly younger smartphone-obsessed generations, are going waaaay over 40 hours. That's a quick recipe for burnout and stress. Studies show that people are happier and more productive when they actually have time off. Ditch all (or at least, most of) the candy bars and overprocessed snacks in your vending machine. Replace them with healthier options such as granola bars and nuts. Even microwave popcorn is an acceptable alternative. Yeah, this kind of feels like being a parent to your employees. But it's unlikely to hurt morale, so long as you're clear on why it's happening. Be upfront about it. 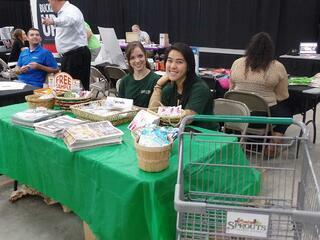 To encourage employee involvement, set out samples of the new snacks for people to try, or even lower prices a bit. Many companies will pay for fancy shmancy wellness programs without actually maximizing the benefits they're already paying for. Things could get a lot better if only people would take full advantage of preventive visits, dental exams, EAPs, and so on. Some may not even be aware of all the things their HAS/HRA can cover. Yes, your health benefit costs may increase if your employees utilize them more, but the reward of a healthier workforce is greater. Benefits are only as valuable as the usage they generate. Before you look to add more, or throw money elsewhere, maximize what you've already bought. Let's cut to the chase here: money, and the need of it, is a gigantic source of stress for employees. You can't just dole out unlimited salaries, so look in the opposite direction. How can you help them stretch their paychecks? 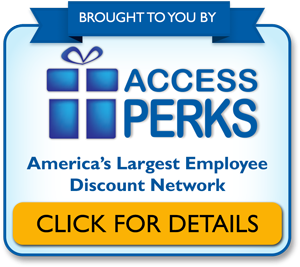 Look at employee discount programs with deals at places nearby. These programs areworth paying for but still don't cost much. If you have to, work the phones with local restaurants and retailers yourself. Offer to promote their business to your employees if they'll agree to an ongoing discount. It can't hurt to ask! Wellness is as much about your culture as anything. Sure, you can dump tons of money into a health and wellness program, but if your culture is fast-paced and high-stress, it's not going to do much. Work with what you have, beginning with managers. Model smart behavior from the top down, and develop relationships with individual employees so you know when they need help. Use the resources around you - local businesses, for example - to give employees options on how their money can be spent wiser. Would it all be easier with a fat budget? But that doesn't mean it'd be any better than an effort that focuses on the culture and relationships within your office. Start small and personal, and you'll be pleased with how effective you can be.